Garden Place Estates Apartments is perfectly located in Potsdam, NY. We offer affordable, quality housing for professionals, just minutes from downtown Potsdam and Canton, NY. 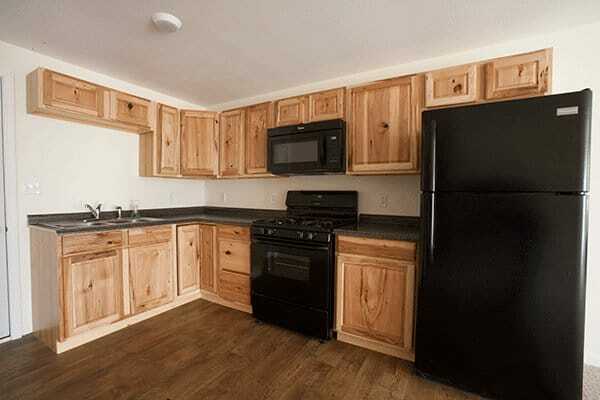 Enjoy beautiful hardwood cabinets in all of our apartments. Garden Place Estates Apartments is a pet-friendly, family owned and operated business that was proudly established in 2011. Being that Canton and Potsdam are such wonderfully old towns, many of the apartments are out of date. So, in the spirit of advancement, we decided to build new, high-quality apartments to offer renters looking to live and work near Potsdam-Canton, NY a classy, modern alternative to the previous apartment options. We opted for a more rural setting to build Garden Place Estates Apartments because we wanted to have the ability to offer our tenants more than an apartment to rent, but a quality space to call home. Our location allows our hardworking tenants a chance to get away from the stresses of work and school, and away from the busy atmosphere of town so you can enjoy the peace and quiet of the country. We are far enough away from the towns to enjoy the mental release of rural life but we are close enough to town to allow for a short commute. The entrance to Garden Place Estates Apartments off of highway 11B. It is our goal here at Garden Place Estates Apartments to create a comfortable, home-style atmosphere for all of our renters. We do the best that we can to make you and your family feel as much at home as we do ourselves. If Garden Place Estates sounds like everything you’ve been looking for in an apartment, don’t wait one second longer, go fill out an application to take your first steps toward joining our modern, rural community! Garden Place Estates property is settled a quarter mile off of Highway 11B. This provides you with a unique rural ambiance that can’t be found in the nearby towns. With two ponds, plenty of space to get out and stretch your legs, and beautiful natural and agricultural scenery surrounding the property, our apartments feel like home. We are perfectly situated to provide our healthcare professionals at Canton-Potsdam Hospital great apartment options just 6 minutes from the hospital. Canton-Potsdam Hospital is a quality place to work. This not-for-profit hospital offers 94 beds, professional medical practitioners covering over 25 specialties, and state-of-the-art equipment. We are honored to offer high end, accessible apartments for our greatly appreciated healthcare professionals. Our property is ideally located just minutes from the heart of two of New York’s best college towns; Potsdam and Canton. Since all of the impressive universities that surround us are over 100 years old, they created a charming, historic vibe in the surrounding village communities. Founded in 1816, SUNY Potsdam is one of the United States’ 50 oldest public colleges. Clarkson University in Potsdam, NY is a private university founded in 1896 that has been ranked in Forbes Magazine top-50 list of “America’s most entrepreneurial universities.” St. Lawrence University (SLU) in Canton, NY is a private university that was founded in 1856 and was ranked 58th in the 2018 list of Best Colleges is National Liberal Arts Colleges. SUNY Canton is a public university that was founded in 1906 and offers its students a variety of educational options. Each of these universities offers great academics and attracts some of the best students from across the United States. With a total of four established universities between these two New York towns, Garden Place Estates Apartments is perfectly located to provide easy access to myriad entertainment, restaurants, and bars. The main apartment building at Garden Place Estates. Each of our various modern apartments offers quality, spacious layouts. Our roomy kitchens provide space for a full table and chairs and enough room to cook and move around freely. Our bathrooms provide enough space to share and feel comfortable. Our amazing living spaces and large bedrooms keep everyone comfortable; our apartments are designed to feel like home. 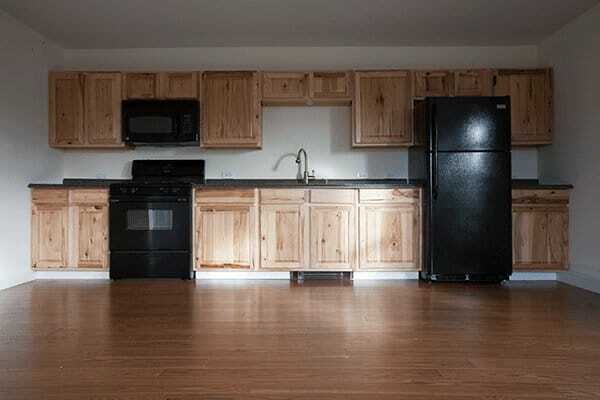 All apartments come with a refrigerator, stove, microwave, and dishwasher. Our units are designed and built with quality, modern materials to create a clean and sleek look in your home. For those seeking the most convenience, we offer fully furnished options too. No matter your needs, Garden Place Estates Apartments is here to make sure your individual needs are met. Learn more about the amenities that we offer! With the size of our property and buildings, we are easily able to offer our valued tenants a multitude of apartment floor plan variations to choose from. Our prices vary slightly based on what apartment floor plan you prefer and what additional amenities and furnishings you request. If you have a special request, just ask and we will try to accommodate your needs. Read about the pricing details!